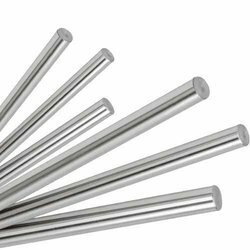 Our product range includes a wide range of hard chrome piston rod, hard chrome plated rod, hard chrome plated shaft, chrome plated shaft, piston shaft and hydraulic shaft. 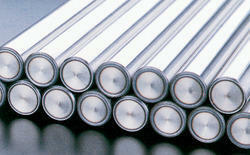 We are manufacturers to Hard Chrome Piston Rod. We are best supplier in Pune, Nashik, Aurangabad, Sangli, Nagpur, Jamnagar, Ahmadabad, Vadodara, Rajkot, Indore/Dewas, Hyderabad, Cochi, Vishakhapatnam, Kasargod, Chennai, Coimbatore, Gawalior and Amritsar. 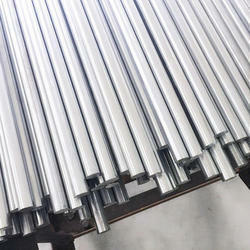 We are manufacturing Hard Chrome Plated Rod with & Without Hard Chrome Plating. 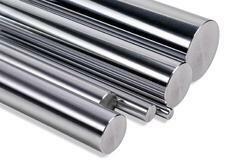 We are offering a wide range of Hard Chrome Plated Shaft. 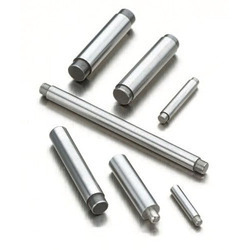 Used widely in various fitness equipment, linear motion shafts and plastic injections, the offered Chrome Plated Shaft is highly acclaimed in the market. Offered to clients at a very reasonable price, the product is one of the first choices in the market. manufactured using the finest raw materials, the product is highly sturdy, durable and resistant to corrosion.We are best supplier in Pune, Nashik, Aurangabad, Sangli, Nagpur, Jamnagar, Ahmadabad, Vadodara, Rajkot, Indore/Dewas, Hyderabad, Cochi, vishakhapatnam, kasargod, Chennai, Coimbatore, Gawalior and Amritsar. We are the manufactures various size of the Piston Shaft. We are best supplier in Pune, Nashik, Aurangabad, Sangli, Nagpur, Jamnagar, Ahmadabad, Vadodara, Rajkot, Indore/Dewas, Hyderabad, Cochi, vishakhapatnam, kasargod, Chennai, Coimbatore, Gawalior and Amritsar. Owing to our rich domain expertise and knowledge, we have been able to offer highly demanded Hydraulic Shaft at an industry leading price. Manufactured in compliance with industry laid norms and parameters, these shafts are demanded in hydraulic industries. 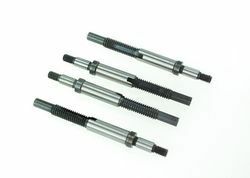 Offered shafts are acknowledged for their seamless finish, better precision, accurate dimension and longer functional life.We are best supplier in Pune, Nashik, Aurangabad, Sangli, Nagpur, Jamnagar, Ahmadabad, Vadodara, Rajkot, Indore/Dewas, Hyderabad, Cochi, vishakhapatnam, kasargod, Chennai, Coimbatore, Gawalior and Amritsar. We are offering Hard Chrome Bar to our client. We are best supplier in Pune, Nashik, Aurangabad, Sangli, Nagpur, Jamnagar, Ahmadabad, Vadodara, Rajkot, Indore/Dewas, Hyderabad, Cochi, vishakhapatnam, kasargod, Chennai, Coimbatore, Gawalior and Amritsar. 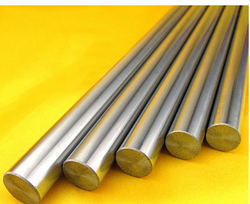 We are manufacturing Hard Chrome Shaft with & without hard chrome plating. The Grade of Raw Material (EN-8D, C-45,EN-31, EN-24). We are manufacturing this material in any grade of the raw material, tolerance on dia, thickness of hard chrome plating, hardness and depth of induction. Hardening may very as per customer's requirement. We are also Offering without Hard Chrome Plating in Peeled/Turned & Ground Condition to other Hard Chrome Plater in India. We are having our own manufacturing facility to produce all of the above products under one roof "AWAL". 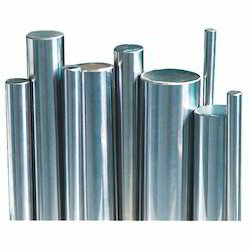 We repeat that "We are the Original manufacturer of all above products and we are not doing business such as Trading, Reselling or Out Sourcing of above product"
We are manufacturing a wide range of Hard Chrome Plated Bar, Induction Hardened Shaft with & Without Hard Chrome Plating size Upto 100mm Dia and length upto 6 meters. The Grade of Raw Material (EN-8D, C-45,EN-31, EN-24).We are Manufacturing this material in any Grade of the raw material, Tolerance on dia, Thickness of Hard Chrome Plating, Hardness and Depth of Induction Hardning may very as per customer's requirement. We are offering Chrome Shaft to our client.We are best supplier in Pune, Nashik, Aurangabad, Sangli, Nagpur, Jamnagar, Ahmadabad, Vadodara, Rajkot, Indore/Dewas, Hyderabad, Cochi, vishakhapatnam, kasargod, Chennai, Coimbatore, Gawalior and Amritsar. We are offering 45 CK Chrome Shaft to our client.We are best supplier in Pune, Nashik, Aurangabad, Sangli, Nagpur, Jamnagar, Ahmadabad, Vadodara, Rajkot, Indore/Dewas, Hyderabad, Cochi, vishakhapatnam, kasargod, Chennai, Coimbatore, Gawalior and Amritsar. Piston Rod is a chromium-plated steel product used primarily as piston rod material in standard hydraulic and pneumatic applications. Hard Chrome bar is normally used in conditions of high stress, friction and harsh climactic environments, the quality of the base metal and subsequent surface treatment are of paramount importance. Wear resistance, corrosion resistance, surface smoothness, high yield strength and uniform quality are essential properties of hard chrome bar.